A meta-analysis showed that abaloparatide treatment reduces the risk for vertebral, nonvertebral, and wrist fractures in postmenopausal women with osteoporosis compared with placebo or other medical treatments. Participants included in the study were women aged 40 and older, with a baseline bone mineral density measure after 1996, and with at least a 5-year follow-up. Cortical bidirectional axial transmission measurements may be useful for fracture risk assessment in postmenopausal women. There is no association between dietary calcium intake and postmenopausal bone loss. Less than 40% of osteoporosis clinical practice guidelines include any mention of patients’ beliefs, values, or preferences. 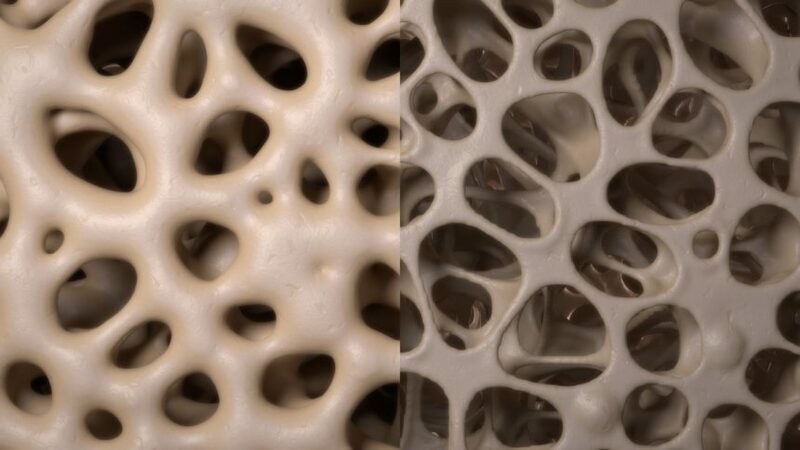 The prevention of glucocorticoid-induced osteoporosis and postmenopausal osteoporosis is inadequate among patients with rheumatoid arthritis. Overall, treatments that were associated with the greatest relative risk reduction in fragility fractures included teriparatide, abaloparatide, denosumab, romosozumab and most bisphosphonate. Multiple pharmacologic therapies have been shown to reduce fracture rates in postmenopausal women with acceptable safety profiles. Investigators examined the risk for diabetes-related fracture in a multiethnic population.